Happy Monday everyone! Hope you had a wonderful weekend! Very glam look to start the week! I fell in love with the jacket and it was steal for $24 at Forever 21. I love the fur collar which is removable and can be used to create multiply look. I am loving your coat...how gorgeous! Anything with fur always catches my eye fast!! You look smashing in this outfit! Beautiful look! You look amazing! Glam and fab!! You look great! Such a beautiful coat, love it !! I love this look! Slay!!! Yeah, I think I'm falling for your coat too! LOL I saw a coat kinda like that at Forever 21 but I remember it costing much more. What a great deal! 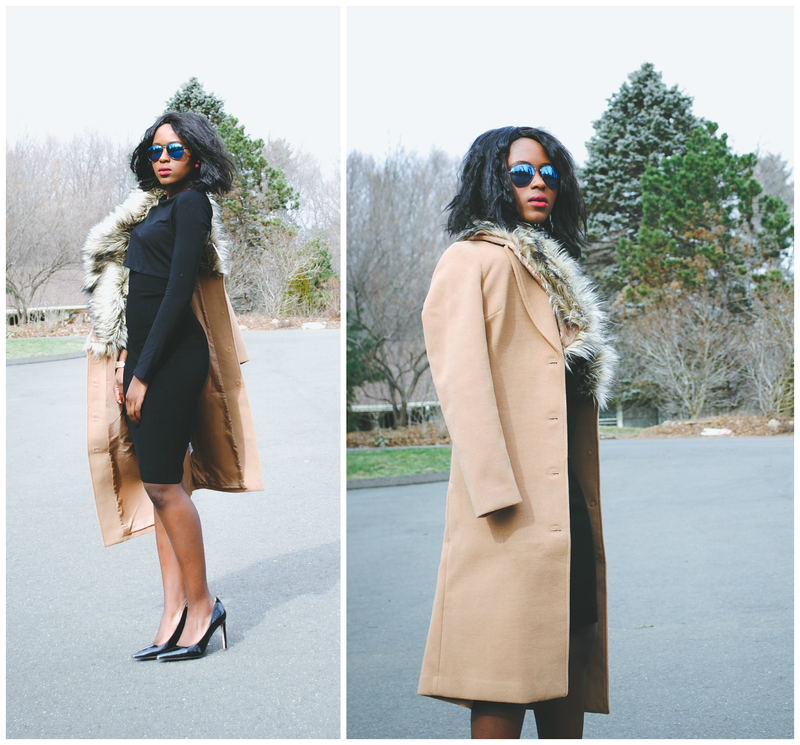 ... PS Thanks for linking up with Mahogany Closet Mondays! Gorgeous look! love the coat!